Alexander Blain Sr. opened the first hospital (Blain Hospital) East of the Mississippi to be a multiple care unit with 12 beds. The only other hospital to do this earlier was the Mayo Clinic. 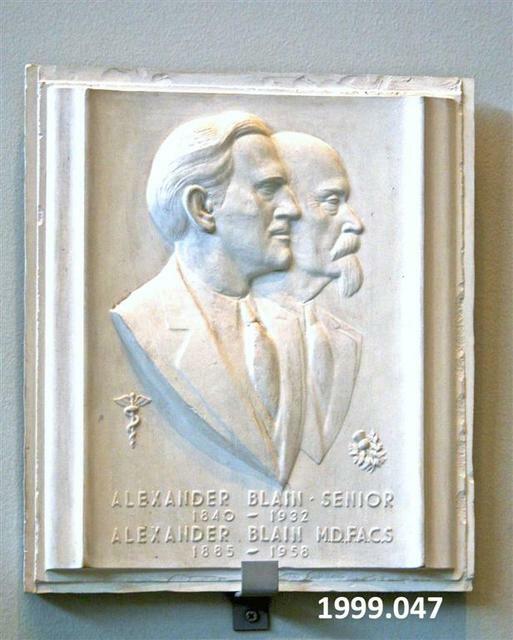 Fredericks, Marshall M., 1908-1998, “Alexander Blain Senior, Alexander Blain Jr., Relief, [Plaster],” Marshall M. Fredericks Sculpture Museum, accessed April 21, 2019, http://omeka.svsu.edu/items/show/5320.